A gorgeous little trinket tray to keep all your precious jewellery and small trinkets safe. An adorable pink flamingo sat on a green plate decorated with white stars. Brightly coloured in pink and green with gold trim, a perfect gift for girls of all ages. This will add a wonderfully pretty feel and a great addition to our fabulous range of gifts and accessories. The ideal gift for all those, young and old, who love everything pink and pretty. A gorgeous little trinket tray to keep all your precious jewellery and small trinkets safe. 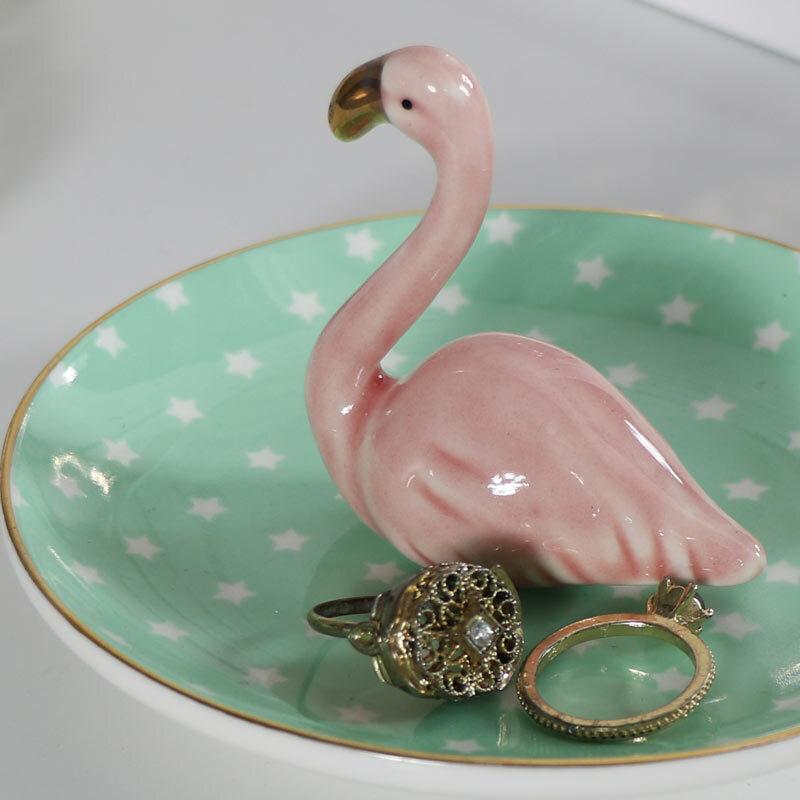 An adorable pink flamingo sat on a green plate decorated with white stars. Brightly coloured in pink and green with gold trim, a perfect gift for girls of all ages. This will add a wonderfully pretty feel and a great addition to our fabulous range of gifts and accessories. The ideal gift for all those, young and old, who love everything pink and pretty. Ceramic dish in a glossy pink and gold finish. A great addition to our wonderful range of gifts and accessories.